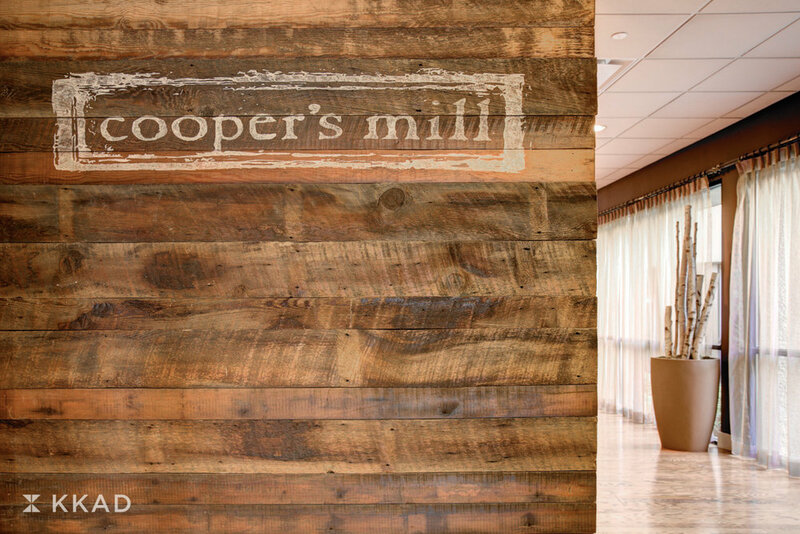 The dining experience at Cooper’s Mill centers around a large wood burning oven where most of the food is prepared. The entire interior was built from a barn that came from a working farm. 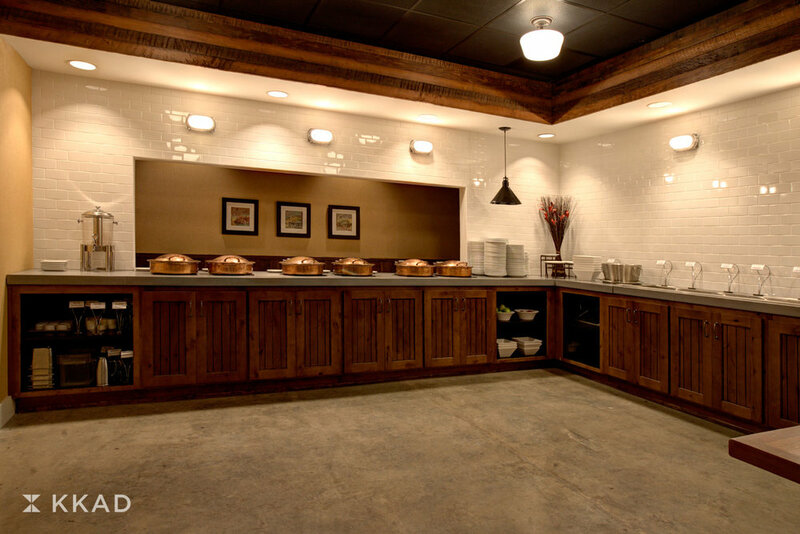 Millwork was customized around the reclaimed pieces and the interior walls and ceilings remind patrons of the local farms where much of the food is sourced.